· Shanghai Yixun Machinery Manufacturing Co., LTD is specialized in providing complete food processing plants and packaging solution for biscuit, candy, cookies, cake, bread, chocolate and so on. · Thanks for our technical and development team with rich experiences for many years and more than 30 whole production lines. · Yixun Machinery is capable for executing on turn-key base with capacity ranging from 50kg/h~1200kg/h for different varieties for biscuit, candy, cookies, cake, bread, chocolate and so on. · Due to our continuous investment on R&D and upgrading in industrial application year by year, Yixun Machinery has formed its own unique and beneficial characters in design and process technology. All the production lines are manufactured strictly under guideline of ISO 9001. With high level management, Yixun Machinery has been awarded with CE certificates in the biscuit production line (both soft and hard), soft and hard candy production line, cake production line and bread production line. · Besides providing single equipment, we can also provide whole solution for the production line. With the highly educated staff who obtained BA degree and Ph.D in majors of Food Engineering and Packaging Machinery, which allows Yixun to be able to designing, developing, manufacturing, installing, operating as well as technical training to customers and competent after sales services of the whole line. · Till now, our products have been exported to USA, Canada, Korean,Poland, North Korea, Britain, Turkey, Sweden, Japan, Kazakhstan, Ukraine,Russia, Albania, Costarica, Sri Lanka, Israel, Cyprus, Uzbekistan, Thailand,Egypt, India, Pakistan, Peru, Brazil etc. · We formed our own insight for biscuit and candy processing industry and our solutions are verified successfully for customers. Yixun are alwaysready and expecting chances to serve you at home and abroad. 2.Material: all food touch part is Stainless steel 304, other parts can be customized. 4.Motor and electrical parts brand for your choice. 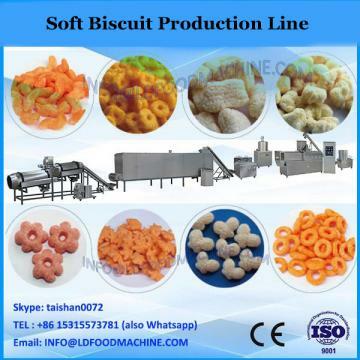 This biscuit production line can produce the hard biscuit, soft biscuit, soda cracker, sandwich biscuit etc. 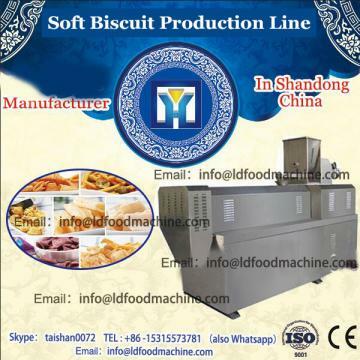 1.YX480 multi-functional biscuit machine, with original design, compact structure and high automatic. It is developed on the base of absorbing Japanese & Germany Technology. 2.All working procedures that from feeding, calendaring, shaping, wastage recovering, drying to cooling can be accomplished at the same time. 3.Hundreds of mould and dozens of technology formulas make it possible to produce all kinds of popular biscuits, such as cream biscuit, layer biscuit, calcium biscuit, multi-vitamin biscuit, vegetable biscuit, etc. 4.Dough mixer moulding machine controlling box roaster oil sprayer cooling machine. 5.The most important is the complete biscuit production line can be combined freely accordingly to the conditions of customers workshop and requirement of biscuit technology. These all can reach the ideal purpose. The line use imported electric components and its speeds are changed by frequency inverter with high accuracy. 6.Diversified biscuit, the capacity is 180-250kg/h. 7.Main electronic equipments are adopted from YX-BC300 Factory Automatic Small Biscuit Making Machines of Biscuit Production Line, Biscuit Equipments of Biscuit Machinery. 1.Full Steel Dough Mixer: For stirring Dough and water together, it also can be used for other material food . YX-BC300 Factory Automatic Small Biscuit Making Machines of Biscuit Production Line, Biscuit Equipments of Biscuit Machinery is the use of rice flour, flour and other kinds of grain flour as raw materials to add some vitamins, trace elements and other high-nutrition ingredients mixed uniformly after extrusion curing and then for nutrition to strengthen the rice, after drying, shape, appearance taste edible method and natural The rice is consistent and supplements the lack of nutrients in natural rice. can also customize special rice with different functions according to different groups of people. Jinan Joysun Machinery Co., Ltd. has single screw rice extruder and twin screw extruder. can be freely matched according to the requirements! YX-BC300 Factory Automatic Small Biscuit Making Machines of Biscuit Production Line, Biscuit Equipments of Biscuit Machinery technology is a breakthrough in the recycling of grain using the principle of extrusion. The most important feature of technology is the addition of various nutrients essential to the human body to food, producing a variety of health foods, curative foods and functional foods. The products are easy to eat and easy to use. Digestion and absorption, welcomed by consumers. Artificial rice alias nutrition rice, gold rice.